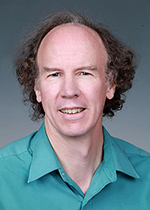 Steven Ghan, a climate researcher at Pacific Northwest National Laboratory for more than 25 years, has been elected to the newest class of Fellows of the American Geophysical Union. The honor of Fellow is given to AGU members who have made exceptional scientific contributions and gained prominence in their respective fields of Earth and space sciences. Ghan will be recognized with the other new Fellows on Wednesday, December 12, during the 2018 AGU Fall Meeting in Washington, D.C. No more than 0.01 percent of AGU's total membership—currently around 61,000 globally—receive the Fellow's honor each year. This year's 61 new members come from 21 different countries. "I feel honored to share this recognition with so many scientists I have looked up to during my career," said Ghan. The mission of AGU is to promote discovery in Earth and space science for the benefit of humanity. According to AGU President Eric Davidson, the body of work by AGU Fellows "pushes the limits of human knowledge by helping to understand better the complex world and universe around us and to build the knowledge base for a more sustainable future." Ghan joined PNNL as a senior research scientist in 1990. His research involved a combination of development, evaluation and application of parameterizations—the calculations used as proxies for physical processes—in climate models. He worked with colleagues around the world to understand the atmospheric processes that drive regional and global Earth systems, with a primary focus on climate, aerosol, and cloud physics. His efforts transformed the ability for models to simulate processes in the Earth's climate, and especially the role and representation of aerosol life cycle and cloud-aerosol interactions used in a wide range of climate models. In his early research at PNNL, Ghan was among the very first scientists to introduce cloud microphysical parameterizations in a climate model. Prior to that, clouds in climate models were represented simply as cloud fraction—a bulk estimate of total cloud amount. He worked with PNNL colleague Richard Easter to tackle the mathematical and computational challenges of these intricate physics while delivering accurate and realistic results. This effort resulted in the first generation of climate models that considered individual cloud droplets, as well as the tiny processes involved in cloud formation. These methods were used routinely in climate models for 15 more years until computer advances allowed more complex equations for clouds and precipitation. 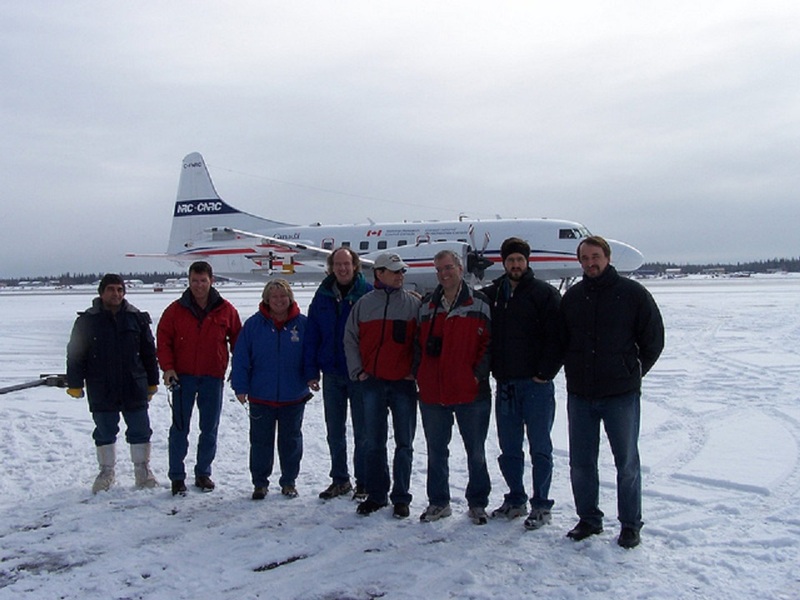 Ghan (center with blue jacket) poses with science and operations colleagues during the Indirect and Semi-direct Aerosol Campaign in Alaska. Ghan, along with Greg McFarquhar of the University of Illinois (third from right), led the campaign’s science team. Building from this research, Ghan led the development of the first climate model in which clouds and aerosols interact, rather than behaving in a linear fashion. This work opened the door to simulating aerosol-cloud interactions in global models and quantifying the overall effects of aerosols on the climate system. These processes are now recognized as critical components of direct and indirect radiative effects of aerosols—how they scatter or absorb energy, or influence the formation of cloud drops, respectively. Another early discovery came through collaboration with PNNL colleague L. Ruby Leung, as they developed a novel way to represent local surface elevation effects on climate. These cumulative achievements launched his leadership of PNNL's Aerosol Climate Initiative. This effort, from 2007 to 2011, addressed important scientific questions related to aerosols and their effect on climate. Throughout his career, Ghan served in many scientific leadership roles. Notably, he contributed to three assessments by the Intergovernmental Panel on Climate Change, which received the Nobel Peace Prize in 2007. He also served on committees for the U.S. Department of Energy's Atmospheric System Research program and Atmospheric Radiation Measurement user facility, and the National Science Foundation. From 2007 to 2016, Ghan worked as an editor—and eventually editor-in-chief—for AGU's Journal of Geophysical Research: Atmospheres. He authored nearly 177 peer-reviewed publications which have been cited more than 13,000 times, placing him among the world's top 1 percent of highly cited researchers in his domain, as reported by Thomson Reuters and Clarivate Analytics. 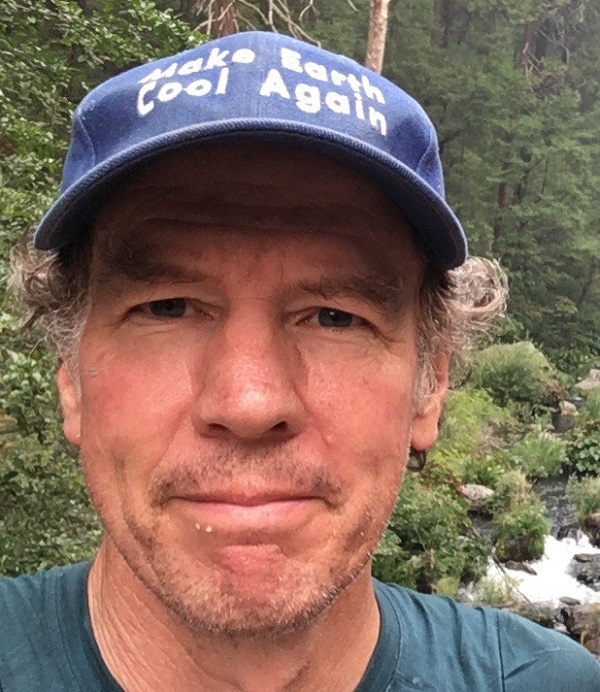 Ghan took this selfie wearing the “Make Earth Cool Again” hat he wore along his 1,500-mile hike on the Pacific Crest Trail. Enlarge Image. Ghan became a PNNL Fellow in 2011 and received PNNL's Lifetime Achievement Award in 2017. He retired in July 2018 and now serves as an emeritus researcher while devoting more time to his other lifelong passions—hiking and action on climate change. Not one to rest on his laurels, Ghan completed a three-month, 1,500-mile trek on the Pacific Crest Trail in October as a fundraiser for Citizen's Climate Lobby, an organization dedicated to finding solutions to climate change. Donning his signature "Make Earth Cool Again" hat, he raised more than $13,000 while engaging in climate conversations with fellow hikers throughout his journey. The latest honor by AGU is a fitting capstone for Ghan's highly productive and impactful science career. Keep up with him (if you can) via his blog.